Fondly called ‘Venice of the North,’ the tourist-friendly city of Amsterdam justifies this title with its classic European charm of quaint coffee shops, gabled houses, glistening beaches and a lovely network of canals crisscrossing the city. Whether one’s looking to soak in on the heritage and culture of the city or to enjoy a relaxed holiday, Amsterdam has it all. What’s unique to Amsterdam is the city's tulip cultivation, delectable cheese-making industries, and the passion for bicycles - undoubtedly the most used vehicle among locals and tourists alike. Read on to know all about making your trip to Amsterdam in July a memorable one! Why is Amsterdam in July a must-visit? 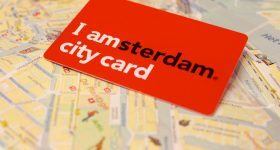 What makes Amsterdam in July special? Amsterdam in July has near-perfect weather that is ideal for sightseeing with warm days and pleasant evenings. Summer in Amsterdam makes it a peak tourist season so the city is spruced up to accommodate travelers, who are in full swing and there are plenty of events lined up to keep the cultural fervor high. From feisty dance festivals to exotic food extravaganzas and cultural carnivals, one can revel in the real vibes of the city by exploring new traditions, gorging on different delicacies, and interacting with the Dutch dwellers! What's more, summer is also the perfect time for outdoor parties, and rooftop brunches and dining - so be sure to visit restaurants, cafes and watering holes with a view! Visiting Amsterdam in July also means that you’ll have to plan the itinerary carefully and book as many tickets in advance to avoid waiting at tourist hotspots. Amsterdam in July sees lots of warm days with around 10 hours of sunshine that lights up the city. The average temperature in summers is approximately 21°C/90 °F. However, this can fluctuate rapidly depending on the sea's temperature change, and temperatures can reach as low as 12° C/69°F as well! A national museum, the Rijksmuseum is the epitome of all things Dutch and is a must-see monument for tourists in any season! Some of the famous pieces of art that are housed here include Rembrandt’s Night Watch, Van Gogh’s Self Portrait, and Vermeer’s Milkmaid among other precious works of art! What better way to admire the breathtaking architecture of Amsterdam than by cruising along the myriad channels of water that branch its way through the city! 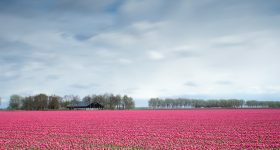 Take your pick from among a simple evening cruise, a 4-course dinner cruise or a quintessentially Dutch, Wine and Cheese Candlelight tour. A walking tour to Anne Frank House can be a thought-provoking experience as it serves as a reminder of the atrocities of the second world war and also throws light on human persistence and survival. Be prepared for some deep reflections after visiting this memorial. 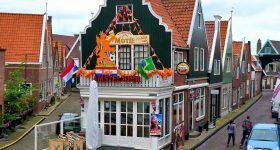 Zaanse Schans and Volendam are scenic Dutch villages that now function as open air museums to acquaint tourists of the old-school Dutch way of life. One can see the five windmills that used to power most of the industries, view cheese-making demonstrations, and opt for photo ops with Dutch costumes as souvenirs. A visit to the Van Gogh Museum is an affair to remember for all art enthusiasts as one can marvel at the beauty of several masterpieces, letters, sketches and drawings by the famous painter. 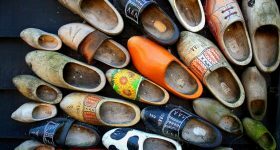 Combine this visit with a tour of the canals and the Rijksmuseum, and you’ll be an expert in all things Dutch. The Red Light District of Amsterdam is among the most infamous areas in the city, and an inevitable part of most traveler's itineraries. Explore the Warmoesstraat area and the famous Weighbuilding at Nieuwmarkt with a tour guide and end your tour with a visit to a local brewery. The Willet-Holthuysen Museum is a manor belonging to Louisa Holthuysen and Abraham Willet that was later converted to a museum. One can visit the museum and opt for a guided tour to understand the significance of the many artifacts on display and admire the period architecture of the 19th century. The Amsterdam Dungeon is an interactive experience that provides visitors an opportunity to discover the dark side of Dutch history. With live actors, special effects, and elaborate sets, the Dungeon showcases medieval torture chambers, inquisition courts, and witch persecutions. It’s is a must-visit place for travelers visiting Amsterdam in any season. Icy furniture, iced walls, and a bar counter made of ice - it can’t get more refreshing than the Amsterdam Icebar, literally! Groove to the funky music in here, sip on some complimentary drinks and enjoy the general ambiance of the place after wearing some warm clothes that are handed to you at the entrance. The Amsterdam Gay Pride is a nine-day celebration centered around LGBT rights, and it sees great energy and participation among locals and tourists alike. Be it the street parties, dances, films, sports, street plays, workshops, or the Canal Parade, one can lend support by just being part of the festivities. The Vondelpark Open Air Theatre Festival comes alive in summer, and the green environs are host to concerts, live theatre and street performances by several established and upcoming artists - all of which can be witnessed for free over weekends and the entire program is a riot of fun! Milkshake is an immersive multi-genre dance and music festival that cuts across race, sexuality, gender, and promotes diversity and respect while ensuring frivolous fun for all. Currently, in its 8th edition, the Milkshake Festival is a unique collaboration between two of the city’s popular clubs: AIR and Paradiso. 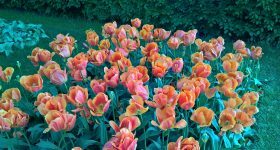 Come summer and the botanical gardens around Amsterdam play host to the Hortus Festival: a music fiesta set amidst the green environs of many parks. The Hortus Festival features many performances, workshops, and concerts for all. The TREK Food Truck Festival is primarily a melee of food caravans that travel around the country and offer a gala of food, live music, theatre and lots of fun wherever they halt. The food caravan offers some delectable cuisines and spread making it the one-stop destination for foodies in town! The Keti Koti Festival sees the coming-together of the city of Amsterdam in the spirit of nationality to celebrate the abolition of slavery in Suriname and Netherlands Antilles. There are several activities lined up for the day including a colorful parade of traditional clothing, live music, and presentations by eminent people. Amsterdam Roots Festival is an international confluence of music, dance, spoken word and films that combines fresh talent and represents global diversity in one platform. With events lined up across different areas of Amsterdam, it’s set to be an enthralling experience as you listen to the personal stories of the artists performing here. 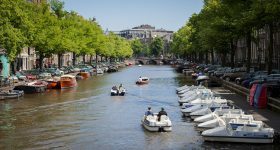 Amsterdam has the most unpredictable weather among several European countries but in July, the weather in the city is predominantly warm and the days are filled with about 10 hours of sunshine. The average temperature in the day is usually around 21°C or 69°F - pleasant weather for a host of outdoor activities. Owing to its popularity as a tourist destination, Amsterdam boasts of a range of accommodation for all types of travelers. 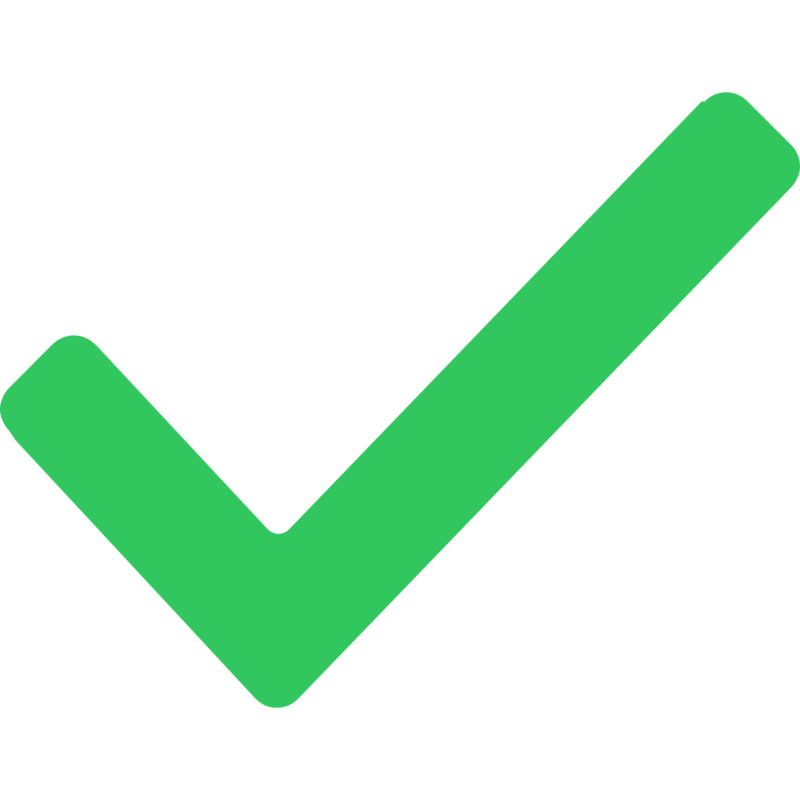 For a vacation in Amsterdam during July, it’s recommended that you pack all summer-time accessories such as sunscreens, sunglasses, caps, and light scarves. But since the weather can be pretty unpredictable, you’re better off carrying some light jackets in addition to regular clothing - especially for evenings that can turn breezy and chill. Amsterdam is a small city that is relatively easy to navigate and hence sees a lot of tourists using public transport to get around such as metros, buses, trams, ferries, and trains. One can always rent out bicycles to explore the many streets and pavilions of the city on foot. 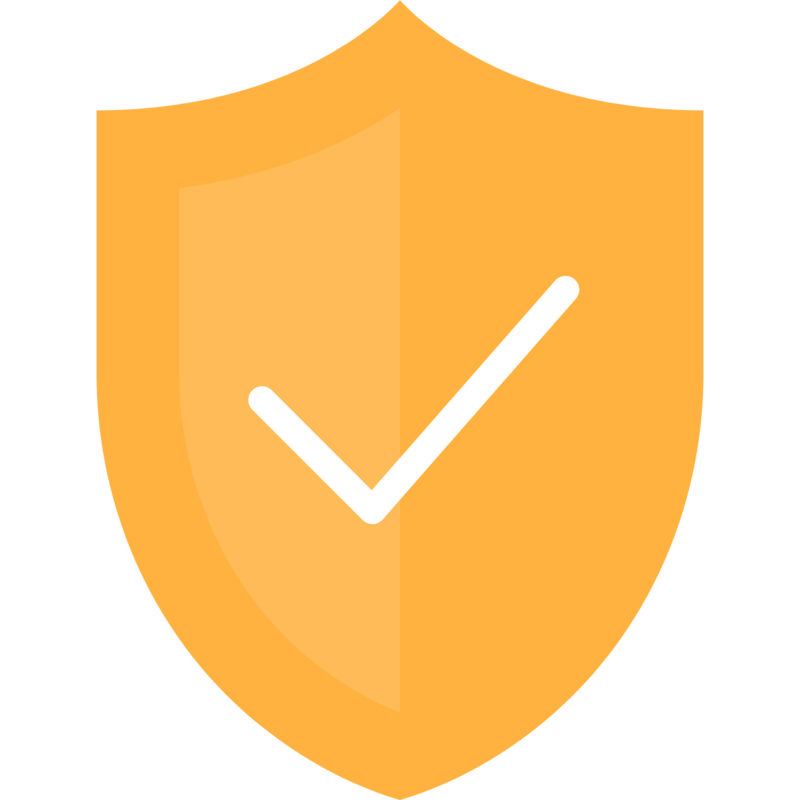 Getting a Holland Pass is also a great idea as it allows access to several major museums and tourist attractions such as the Van Gogh Museum, Madame Tussauds, and Heineken in addition to transport fare across the city. Bitterballen are mostly deep fried meatballs coated with breadcrumbs that are the perfect accompaniment to drinks and hence you’ll find them across Amsterdam. The meat is usually beef, and they’re served with mustard dips which bring out the flavor of the dish. The Stroopwafel is a Dutch delicacy made of thin waffle layers baked with a caramel filling in the middle. You can always place your stroopwafel on top of your coffee mugs to soften the layers slightly before allowing it to melt in your mouth! A close equivalent to fish fingers, the Kibbeling uses chunks of codfish marinated with a crispy batter that is deep fried and served with an assortment of sauces. A classic Dutch cuisine that’s bound to be found across dinner tables in Amsterdam, the Stamppot is a dish of mashed potatoes and vegetables with generous helpings of gravy and meat such as bacon, sausages or Hachee a form of stew meat. The Ontbijtkoek is a traditional Dutch spiced cake that is eaten at breakfast with a dollop of butter. Those craving sweets can also savor it as a snack in itself. It combines plenty of rye with tasteful amounts of spices such as cloves, cinnamon, ginger, nutmeg, and succade that lend a unique taste. 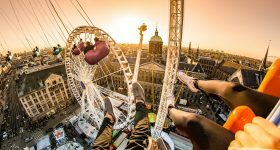 An abundance of events: Summer in Amsterdam sees a whole lot of activities spread over different parts of the city - right from the shopping areas to parks and recreational centers. To experience this festive atmosphere, it’s best to ask the locals and accommodate exciting activities. Mild Temperatures can be deceiving: Although it classifies to be listed as summer, the temperatures of evenings in Amsterdam in July are comparatively cooler, and it may be a good idea to keep at least a few items of warm clothes especially if one isn’t accustomed to the chill air. Explore during offbeat hours: Get onto a boat or hire one if you’re planning to explore the canals in summer especially during early mornings or late evenings when the weather is more cool and the crowds lesser. Chill at the beaches: Beaches are surprisingly not as popular among tourists, but they’re definitely a great place to cool off in the summer heat. Ride your way through the city: Bicycles are an integral part of the town and are used by everyone - the old, young, men and women! Feel free to rent and ride your way across the city and explore delightful old nooks and crannies. Here are some more guides for your reference. An introvert who expresses herself by the words that flow out as she writes. A Bangalorean by heart but has been across 22 countries by the age of 22. New York, Paris & Kashmir making it to her top 3 list of places that she has been to, she plans to go on a solo adventure in the near future. Her gypsy home is filled with souvenirs from across the world. She's always up to take her tastebuds on a food tour. As a world explorer, she has learnt that travelling helps her rejuvenate her soul by filling it up with memories and life lessons that no school ever taught. 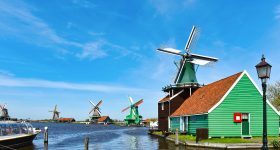 Windmills & Beyond At Zaanse Schans – 12 Museums You Cannot Miss!